I love helping people; making them feel happier, healthier, and better about themselves fills me with excitement. This has been a driving force in most of my professional ventures in life. 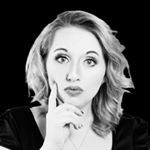 Professionally, I have been educated, through countless hours of research, tutorials, videos, and classes, in photography and cannabis for medical use. You may think, what does photography have to do with helping people? Unfortunately, cannabis doesn't have the best reputation due to its history of prohibition. It became my mission to work to destigmatize cannabis, from being thought of as a "drug" to being understood as the beautiful, remarkable plant that it truly happens to be. Through my unique style of cannabis photography, I am continuing to work to change these views. Cannabis is a huge part of my life, as it is the number one reason that I am able to function on a daily basis. It provides relief from the debilitating nausea that is caused by my Cyclic Vomiting Syndrome. Since it has encompassed my entire life, I find myself always invested in it in one way or another, advocating for myself or others. 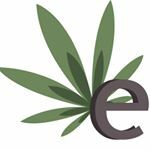 Currently, I have written numerous articles, which can be found on www.elysiancanada.ca, and have been approached by 3 major cannabis news sources to write a few articles in the near future. As well, I have been asked, and have already submitted my photo for The Emerald Cup, in California. In the coming weeks, I will have my first book published, on cooking with cannabis. 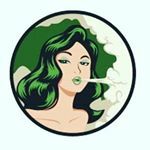 Also, I make and edit video strain reviews and informative cannabis content on my Instagram and YouTube page, with a copious amount of backlogged content and ideas. However I am able to help people live and lead a more enjoyable, higher quality life, is exactly what I plan to do. If you, too, want to love and want to help people, join me on this journey and see what lives we can change together! Demographic data for @ashleyeh_'s audience is available for free to influence.co users.